Springville, CA, June 28, 2012 – TEDCF Publishing, an Autodesk Authorized Publisher and member of the Autodesk Developer Network, today released Autodesk Inventor 2013 Certified: Tube and Pipe Routed Systems, a video based training course for Autodesk Inventor 2013. Tube and Pipe Routed Systems is the fifth course in a series of Inventor 2013 Certified courses scheduled for release this year. Starting with the basics, this course shows step-by-step procedures for advanced operations like creating custom iParts used in runs, authoring custom tube and pipe components to the content center, setting up custom tube and pipe styles, and developing strategies for building structurally sound runs. Run stability is the ultimate goal of this course. When assemblies are modified runs can rebuild to an undesirable route. The course not only shows you sound procedures to prevent this, TEDCF Publishing has developed a tool that makes it easy. It’s called the Phantom Route Guide, and it’s included with the course. Users can download the full course now, and the upgradeable DVD can be pre-ordered. When all seven courses are complete the DVD will ship on July 31st. It will contain all seven courses so that the user can easily upgrade to a new course without having to purchase another DVD. TEDCF Publishing has also enhanced their Lesson Player. Along with adjustable playback speed and a lesson search engine, users can now assign global hotkeys. This gives users the ability to pause and play lessons while working in the Inventor environment. Users can also use hotkeys to advance to the next lesson in the course and review previously watched lessons. Visit Tube and Pipe Routed Systems 2013 to learn more and watch sample lessons. Founded in 2000, TEDCF Publishing is a division of The Engineering Department Consulting Firm. 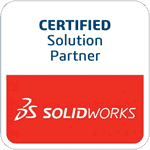 The company attained recognition as an Autodesk Authorized Publisher & Developer within the first year of business. The company provides training courses for Autodesk Inventor 6 through 2013, SolidWorks 2009-2011, and Microsoft Excel.